Despite the best efforts of the Jackson family and the veterinarians at the Red Bank Veterinary Hospital, the poodle attacked by a PIT BULL in Ocean Gate on Sunday has died, one of her owners said. The little dog wasn't even a year old. "With a very heavy heart I write this..Saphira has passed away this morning," Carol Hulbirt-Jackson wrote on Facebook. "Her heart stopped and the doctors did everything they could but she did not make it.. I truly have no words I'm at a loss and I hate posting this but its the only way i can reach everyone that has had Saphira in their prayers and thoughts. I can not thank everyone enough for their love, support and generosity we will be forever grateful! Our sweet loving rambunctious baby girl is gone." Her husband was walking the dog on a leash on East Cape May Avenue when the pit bull approached. He snatched up Saphira and was bitten by the pit bull and dropped his dog. The pit bull then went after Saphira. 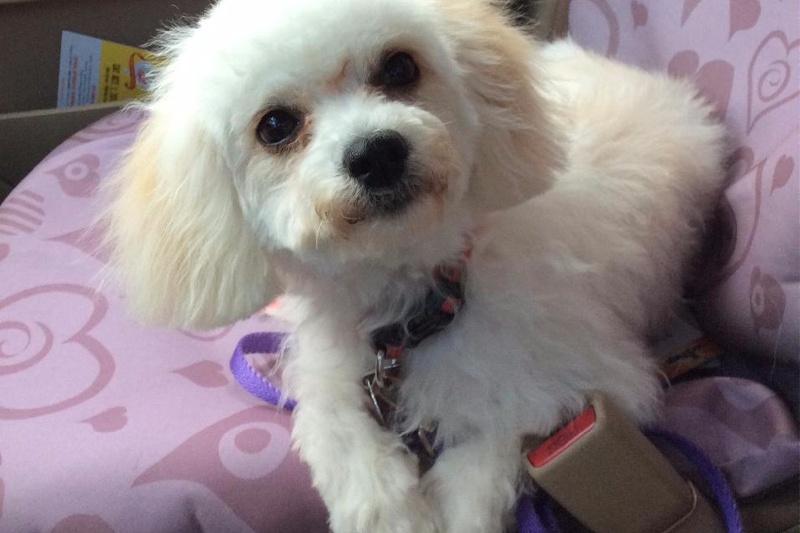 "This dog proceeded to drag, shred and rip the poodle apart," according to the gofundme page established to help the family with veterinary bills. Her husband dialed 911, police and Berkeley Township Animal Control. Then he drove Saphira to the veterinary hospital. He was so traumatized by the attack he had to take the day off from work on Monday, Hulbirt-Jackson said. He also had his first series of rabies shots. But Hulbirt-Jackson said the pit bull's owner had furnished proof that the dog had been vaccinated against rabies, so her husband won't have to have any more shots. Ocean Gate police have not released any information about the attack, despite several Patch requests. A gofundme page has been established to help the family with veterinary bills. As of this morning, $3,037 had been raised. The goal is $7,000. To donate to the gofundme account,click here. Another day, another harmless, precious, adorable, normal dog slaughtered by a vicious, ugly, useless, worthless pit bull. Dog aggressive dogs have no place in society.